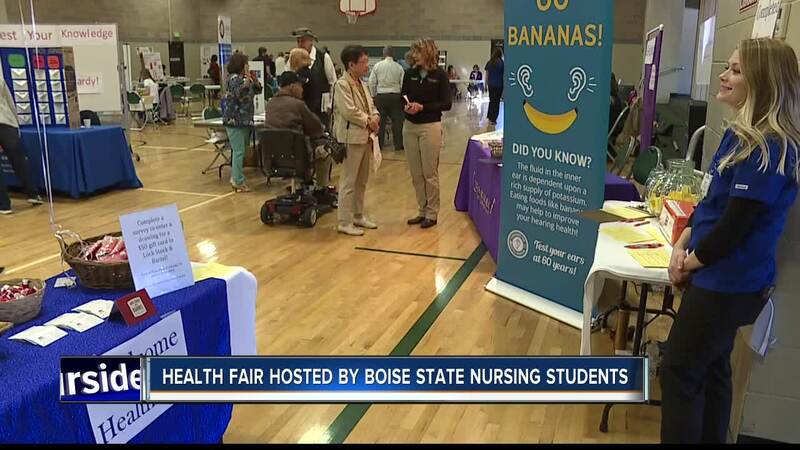 BOISE — A collection of Boise State nursing students hosted a health fair at the Holy Apostles Catholic Church in Meridian. The health fair featured a wide variety of vendors allowing people to learn about many different aspects of the health sector. The students said they want to help people in their nursing careers while also educating the public to promote a healthy community. "Helping the community as a whole is really rewarding for us especially having this fair with multiple vendors putting the hard work in an seeing it come together so well and I think it is important putting an emphasis on the preventative side of our health," said nursing students Abbey Sorensen and Toni Villa. The health fair is the students' senior project, and the culmination of years of studying as they prepare to graduate from Boise State this spring.